The Rinchen Terdzöd empowerments were bestowed at the Mindrolling Monastery in 1978-1979 by His Holiness Dilgo Khyentse and the lung (oral reading transmissions) was bestowed by His Holiness Dodrubchen Rinpoche at the time. Many teachers and students practicing and teaching the dharma today received the empowerments during this bestowal of these precious transmissions. 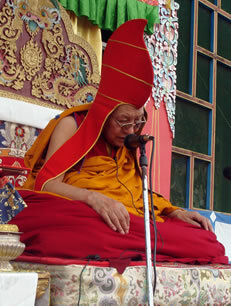 The empowerments were again bestowed by Kyabje Tsetrul Rinpoche in 2008. 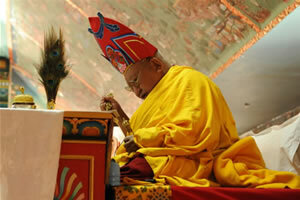 Namkhai Nyingpo Rinpoche bestowed the lung.